The county will now open a Sunday polling place at Prairie View City Hall and expand voting hours at the university's campus center on Monday through Wednesday of next week to 7 a.m. to 7 p.m., instead of the original 8 a.m. to 5 p.m., according to the NAACP Legal Defense and Educational Fund. Students can continue to early vote at the Waller County Community Center in Prairie View on Thursday and Friday of next week. Waller County Judge Trey Duhon, a Republican, and Elections Administrator Christy Eason announced the expanded early voting opportunities for the students in a statement released Wednesday, but said that the county will be “vigorously opposing” allegations of voter disenfranchisement. “We have analyzed our resources in an attempt to extend additional hours and times, and have done so, but all citizens of Waller County must be accommodated with the limited resources of a small county,” the statement said. 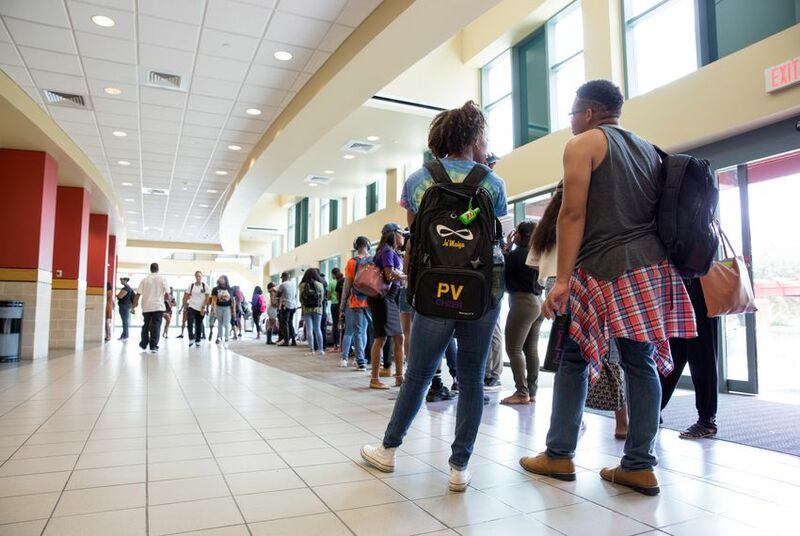 Prairie View A&M students have long fought with the county over increased access to the ballot box. In a 1979 voting rights case that went to the U.S. Supreme Court, the court affirmed students' rights to register to vote at their college addresses even though county officials claimed the students were not residents. It wasn't until 2013 that students won a decades-long fight over the need to open an Election Day polling location on campus.